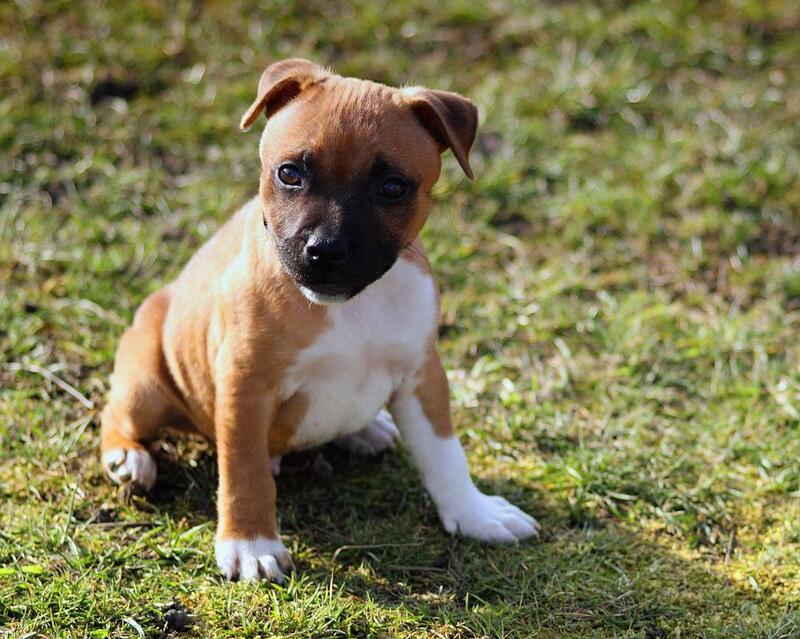 Staffordshire Bull Terriers often get a bad rep thanks to sensational newspaper articles branding the breed as dangerous. But this is entirely unfair. Staffies are actually wonderfully friendly dogs that are perfect for almost any household, including those with children. As with any breed, the behavior of a dog is entirely down to how it has been raised and treated. So, when it comes to adopting or buying, don’t turn your head at the first sign of a Staff. If you do dismiss the awful stereotype and opt for one of these beautiful, loving dogs, here’s how to meet their wants and needs. Before taking on any dog, it is important to ensure that you can accommodate them well. So know your dog before taking it on. Staffies form part of the Terrier group. They grow to around one foot and four inches at the shoulder and can grow to weigh between 24 and 38 pounds. For a general gist of how large the pup will grow, always ask to see its parents. This will help you to gauge a general idea. They live, on average, for around twelve to fourteen years. Remember, a dog is not a novelty. It is a commitment and you need to be sure that you can care for him or her for their entire life. They have a strong, stocky, muscular figure, but are renowned for their loving and trustworthy nature. They can live happily in apartments, as long as they are regularly walked, but would preferentially have a garden to frolic about and play in. They shed a little, but not excessively, so you should be happy using a lint roller to get a little fluff off your furniture and clothing. 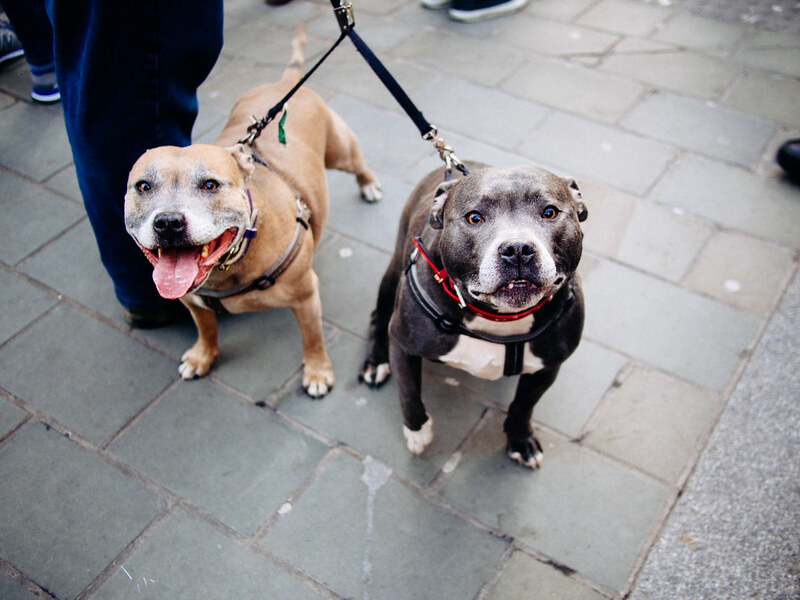 Staffies are generally energetic and will require a vigorous walk each and every day. So make sure you’re prepared. Your pooch should definitely have a harness and lead. They are likely to pull, so it is better to spread the pressure across their chest than pulling at their neck. Invest in a stretchy lead over a standard handheld lead. This means that they will be able to venture further, taking more steps and satisfying their curiosity, as they can explore their environment more freely. Invest in the best dog harness available, as it is an investment and will likely last your dog many years. 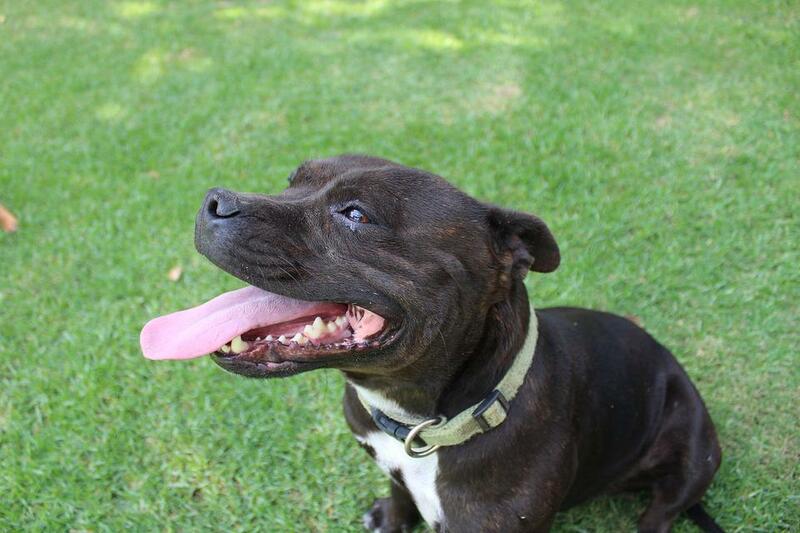 As mentioned earlier, staffies are most content with a garden to play in. But remember, as part of the terrier breed, they are diggers, so prepare for a few holes here and there. You should take extra care to secure your garden in order to prevent them from escaping. This means reinforcing the bottoms of your fences with concrete or chicken wire so that they can’t dig out underneath them. Staffordshire Bull Terriers are easily prone to overheating. So make sure that they are always kept cool, especially in the summer months. Make sure that they always have ready access to plenty of cool water and monitor them closely on particularly hot days.